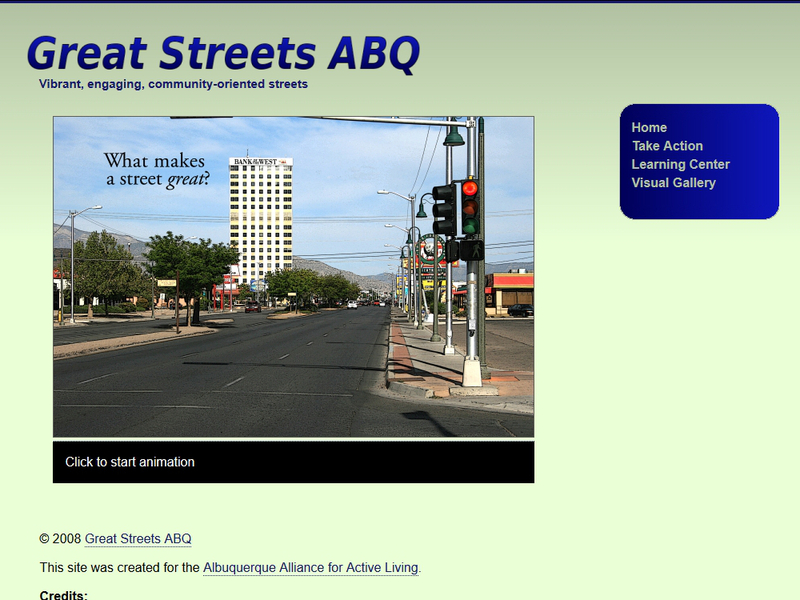 Great Streets ABQ | Building Websites for the People! 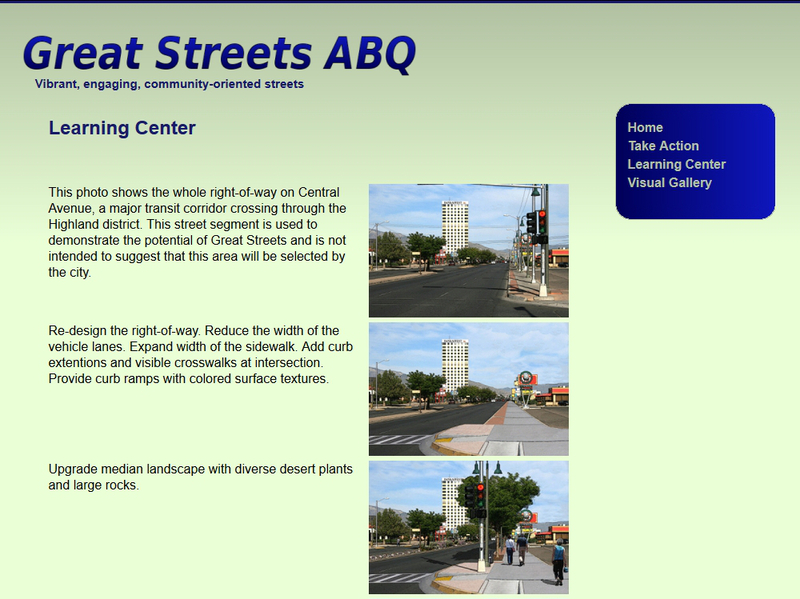 Great Streets ABQ was the first WordPress website I built and ran from 2008 to 2011. 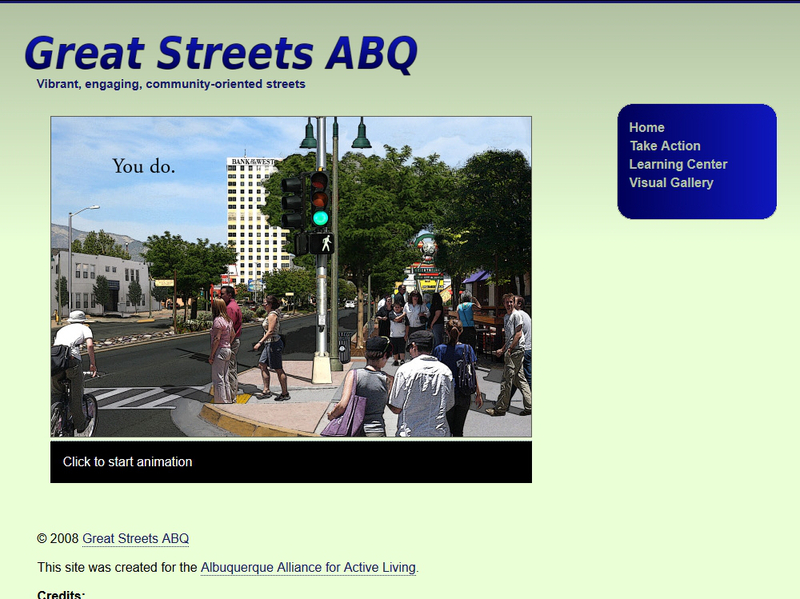 It was developed for the Albuquerque Alliance for Active Living and promoted a vision of community-centric streets. I used the jQuery Cycle Plugin to create a fade-in slideshow animation. 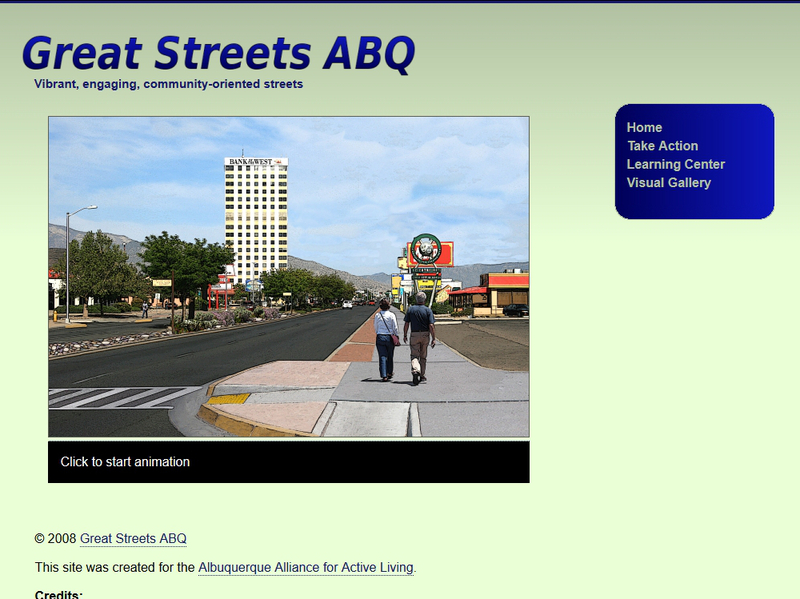 This kept the focus on the potential transformation of Albuquerque’s Central Ave through the use of a series of eight visualizations produced by community planners and graphic designers. This entry was posted in Portfolio and tagged Albuquerque Alliance for Active Living.